Growing up, I used to watch the Mallards breeding in the local pond every summer. The female would start out with many tiny, adorable ducklings; then, day by day, their number would shrink. I remember not understanding why I couldn’t take a few of the little fluffballs home and have them for myself. (Well, aside from the fact that a city apartment is perhaps not the optimal environment in which to keep ducks.) When so many died anyway, would they be missed? And wouldn’t I really be saving them by taking them? I’ve been seeing similar sentiments on the internet lately: people who have found out how dangerous it is to be a baby bird asking whether it wouldn’t be best to preemptively “save” the chicks from their probable fate. 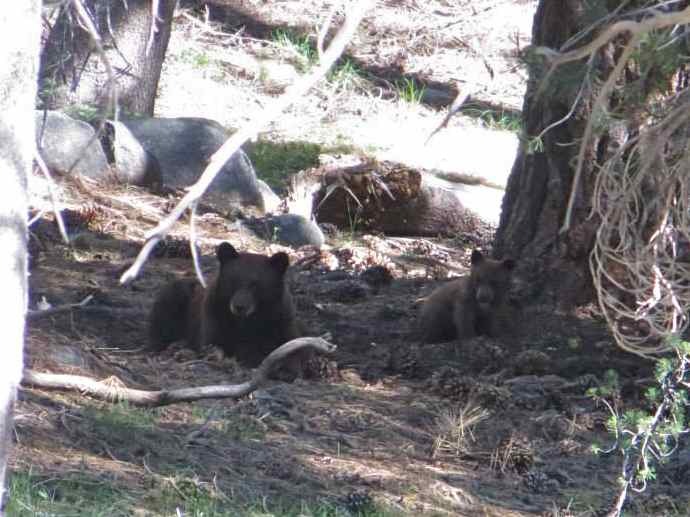 They are babies in danger, after all—shouldn’t any good person help babies in danger? Shouldn’t I just keep little YAMM for myself? 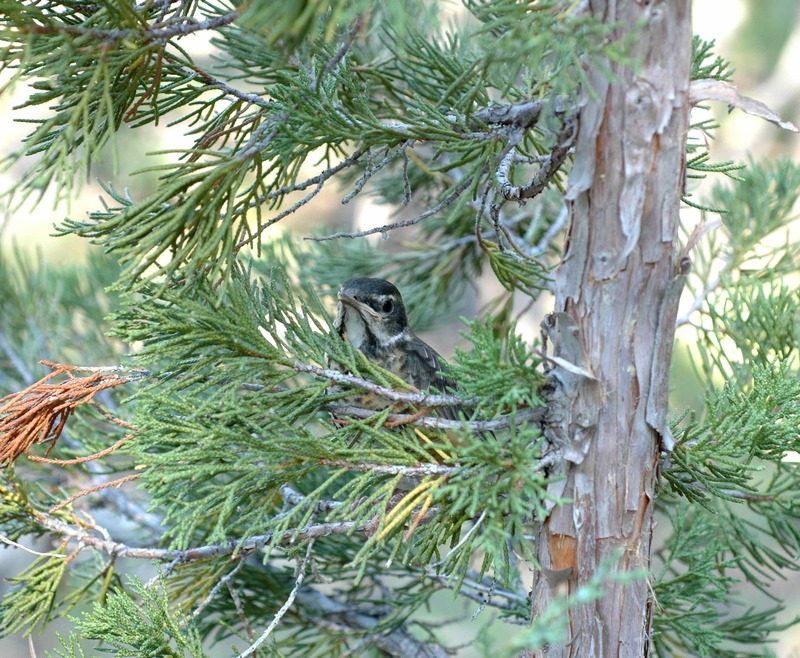 The simplest answer is that one should not steal away baby birds because it is illegal under the Migratory Bird Treaty Act—but that isn’t an answer likely to ease the consciences of animal lovers. So I’d like to talk about what it means to help wild animals, and when “helping” can be a really, really bad thing. There are clear-cut situations where human intervention can be good. Injured wild animals can be taken to wildlife rehabilitators to be tended and, eventually, released back into the wild. Abandoned baby animals who would otherwise die can also be taken to wildlife rehabilitators—although this can be complicated, since many species leave their babies alone for long periods of time, making it appear that the baby is abandoned when it actually is not. 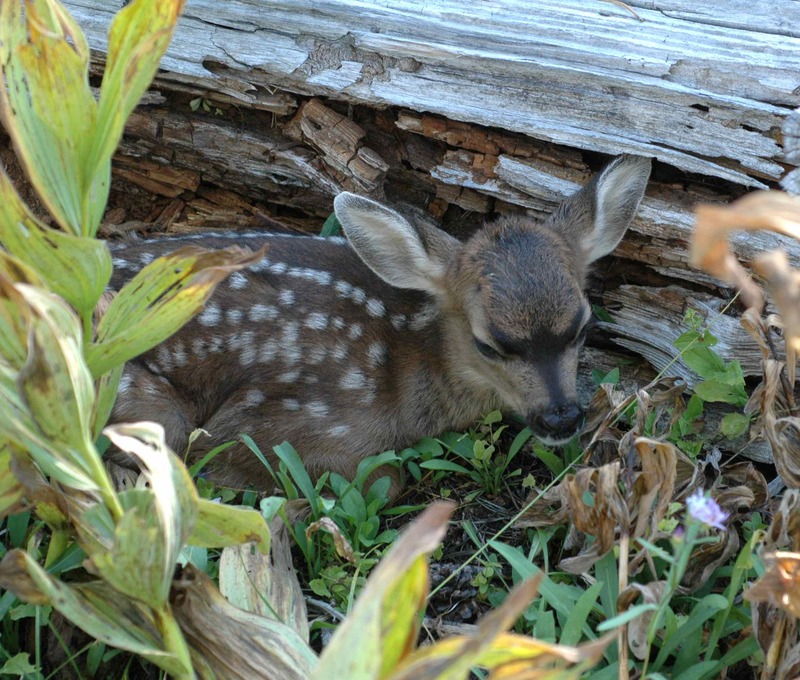 A mule deer fawn left alone by his mother, but not abandoned: she’ll be back. But what about animals that are only in statistical danger? For example, in many bird species the survival rate to flight-capability of young birds is less than 50%. You might look at a healthy chick in a nest and reason that its odds of surviving the next month are less than fifty-fifty. Why is it not right to take that chick and raise it yourself, safe from predators? Most practically, there is the fact that humans are much worse at raising baby animals than the animals are. Those baby animals have evolved to thrive under the care of their own species in their own habitat. Humans, with our big fingers and moistened cat food and cardboard boxes padded with blankets, simply can’t be good momma sparrows or raccoons as well as the real momma sparrows and raccoons. Too, there is the problem that unless the baby animal is very young, it will probably be frightened of its human caregivers and stressed by its strange environment. 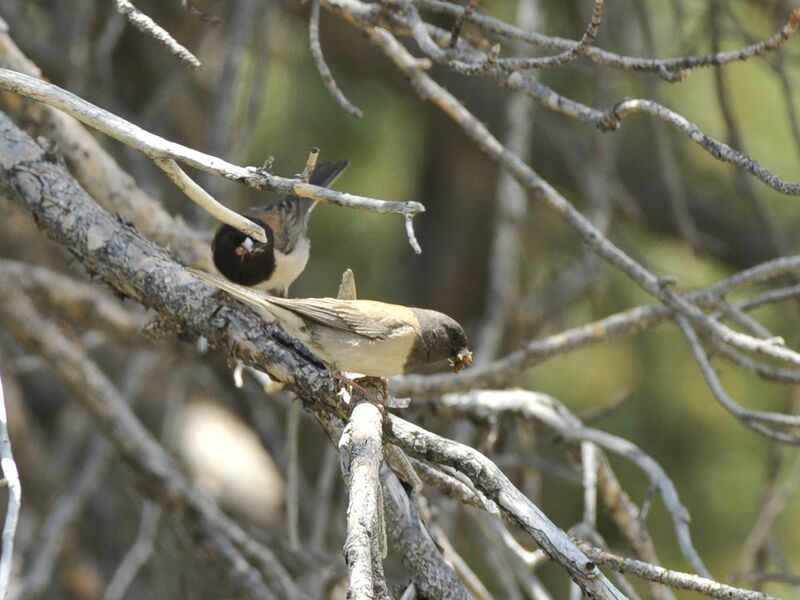 Junco pair with bugs for their chicks. They can definitely catch more bugs than you can, and they know what the best bugs are, too. Even if we were all perfect surrogate parents for every species, however, it would still not be right to take healthy babies from healthy parents. Baldly, it is theft. It steals from the parents the chance to raise a healthy baby; it steals from the babies the chance to be raised by their own species in their own environment, to be truly wild in the manner that best suits them. Most of all, it steals a little bit from the very idea of a non-human species. Humanity has encroached on every aspect of wildness in one way or another: all species face problems like roads, light pollution, ocean acidification, urbanization, and human-imported invasive species. We have even created our own domestic animals. To insist that wild species cannot raise their own offspring denies their very existence, for the essence of a wild animal is something that exists and persists and thrives separately from humanity. What an insult, to deny them that! What a blow, to narrow their humanity-eroded world still further by insisting that only you can create more of them! The natural world is dangerous and cruel. Many baby animals will die before they reach adulthood. Often they will die to feed other baby animals: hawks and foxes and snakes have babies too. It isn’t wrong to be sad about this, to be compassionate and worry about the fates of individual animals. But the only way to eliminate the death in nature is to eliminate nature itself, and surely that’s a bigger death, like the extinction of a species compared with the death of an individual. Here is how you can help baby wild animals: don’t try to touch them or take them home unless they are injured or abandoned, and if they are, take them to a wildlife rehabilitator. Grow good habitat in your yard: bushes and flowers and dense vegetation for fledglings and rodents to hide in, for parents to forage in for bugs. If you have breeding mammals or ground-nesting birds or fledglings in your yard, wait to mow the lawn until you’re sure you won’t run anyone over. Spay or neuter your cat, and keep it indoors, and encourage your friends and neighbors to keep indoor cats too. Put stickers on your windows and glass doors to prevent birds from flying into them. Support habitat restoration and oppose habitat destruction. Robin fledgling hiding in a tree. If you crave the feeling of being needed by an animal, adopt a shelter pet. Domestic animals really do need you; especially the adults, who don’t get adopted nearly as much as the babies. These are the animals who will thrive under your care and affection. 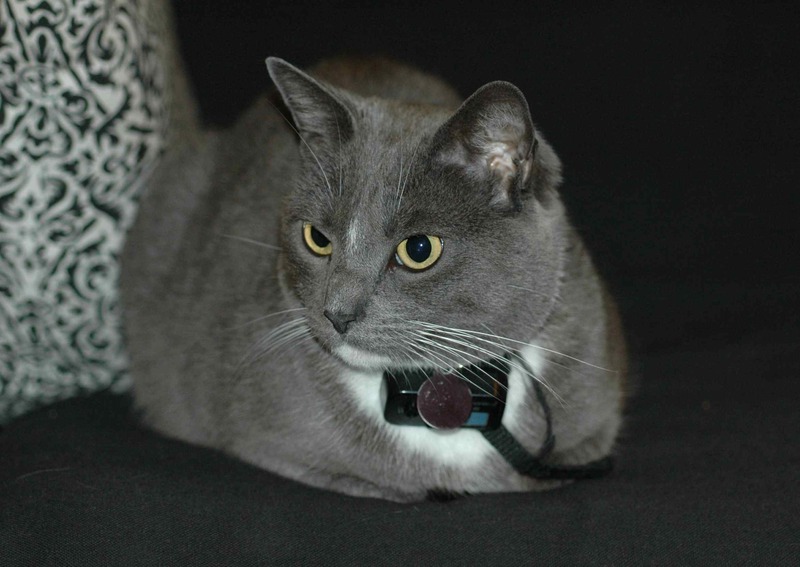 Limpet, my cat, was a 3-year-old in the shelter when I adopted her. And she is awesome. We are occasionally privileged to be allowed to observe nature. Let’s have the grace and self-control and appreciation to simply observe it, and in so doing, to contribute a tiny bit to its continued existence. Barn Swallow parent flying in to feed the chicks. 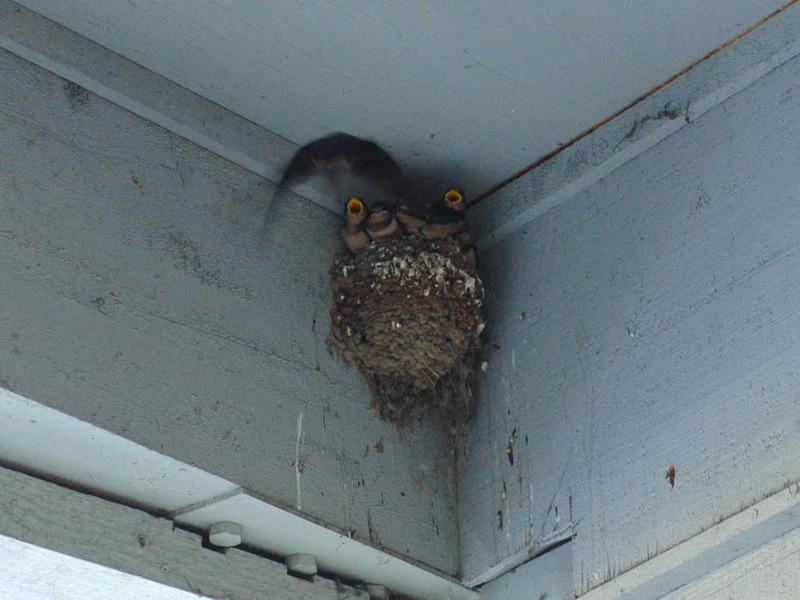 This entry was posted in animal rescue, miscellaneous and tagged animals, fledglings, nature, nestlings by toughlittlebirds. Bookmark the permalink. We have the great joy every year of watching nests of robins, finches, cardinals and doves. 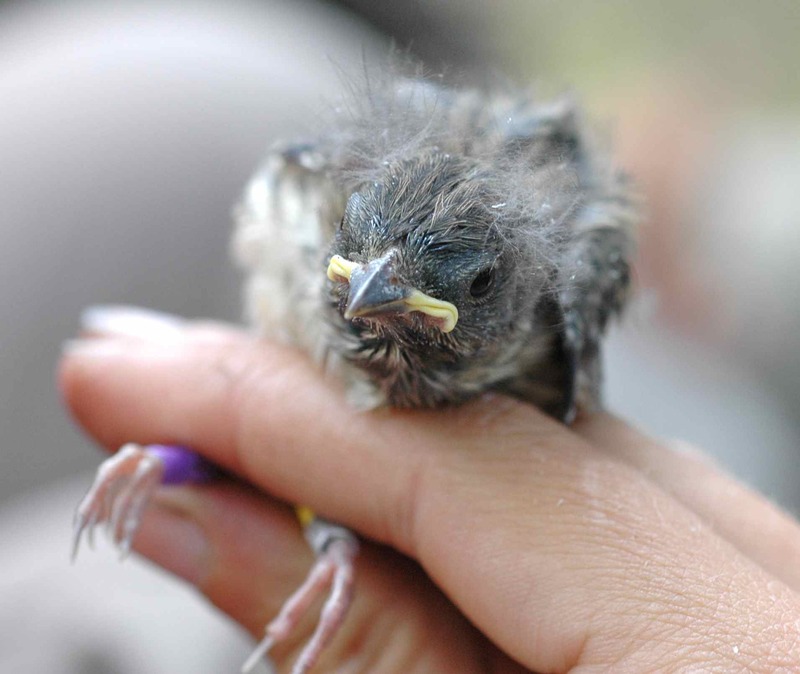 Inevitably, babies get knocked out of the nest and die. I find it startling how many people “rescue” babies that are simply being taught to fly (baby robins spend hours on the ground while being fiercely squawked at by pop). Many raptors get “rescued” only to be so heavily imprinted so that they must live in captivity the remainder of their lives. I think the limited scenarios you suggest make rescue a requirement, but I’m grateful to live in an area where experts are available to do it right. Well said. It’s sometimes hard when the intuitive course of action is exactly the wrong one.